Posted on Tuesday, July 17th, 2018 at 11:54 am. 1. 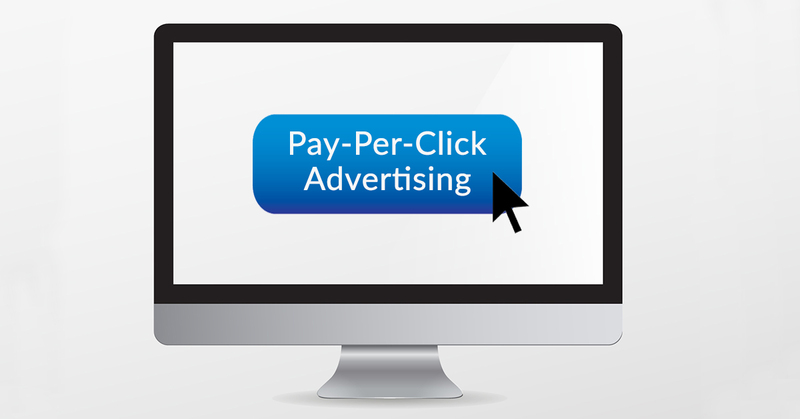 What is pay-per-click advertising? Pay-per-click, or PPC, is one of the tools you can use to promote a business online, the most well-known is Google Adwords. It is a specific type of search engine marketing designed to drive traffic to your website. When certain keywords are entered into a search engine, your ad appears in the search results. You only pay when a user clicks on your ad. 2. Where do ads appear and what do they look like? Search engines like Google and Bing allow businesses and individuals to buy listings in their search results (ads). They appear alongside, and increasing above the non-paid organic search results. The ads can have several different looks depending on which search engine you decide to advertise with. 3. What are the benefits of PPC ads? Speed - PPC ads can be launched quickly, bringing in targeted traffic and leads to your website almost immediately. Cost - You only pay when an ad is clicked. It’s easy to manage costs, track conversions, and determine your Return On Investment (ROI). Reach - You can target specific target markets and bring in additional traffic to your website. Control - You can modify your ads, try new search terms, pause campaigns and restart whenever. It Can Be Very Effective - When set up correctly, it can really work! That is why many spend millions on paid search. 4. What sites offer PPC advertising? Google AdWords is the most popular but there are others like Bing and Yahoo who also offer PPC advertising. 5. What are the components of a PPC ad? Headline 1 (30 characters). Include keywords and use attention grabbing headlines. Headline 2 (30 characters). More room to add to your headline or perhaps describe who you are targeting. Display URL. Shows your website address. Ad text (80 characters). Highlighting the details of your product or service. Display URL. Domain and subdomain automatically generated from your final URL plus two customisable URL paths. 6. How do you find the best keywords to use in an ad? Keywords are very important. They may make or break your ad so you need to choose wisely. There are tools that help you to select the best keywords. Try the Keyword Tool or check out this list of keyword tools. 7. Keyword Match Types: What’s the difference between broad, phrase, exact and negative match? Broad match. With this option, customers will see your ad if they enter searches that are “similar” to your keywords. Ads may show on searches that include misspellings, synonyms, related searches, and other relevant variations. Broad match modifier. Ads may show on searches that contain the modified term (or close variations, but not synonyms), in any order. Phrase match. Ads may show on searches that are a phrase, and close variations of that phrase. Exact match. With this option, customers will only see your ad if they enter the exact keyword, or keyword phrase that you selected. Negative match. With this option, you can select keywords that you don’t want your ad associated with. If these words are entered into the search bar, your ad won’t show up. 8. How can I target my PPC ad? Device. Choose which devices you want to target (phone, desktop or tablet). Location. Target people within a certain geographical area. Language. Select a specific language to target. 9. Where can I find more resources on PPC advertising?